Truss Banner Support for rent from Stage CMDR, Inc. in Sacramento, CA. If you have a banner that you need to display, then using lighting truss with or with out ballast blocks is what you need. You start with the general size you want your banner to be. 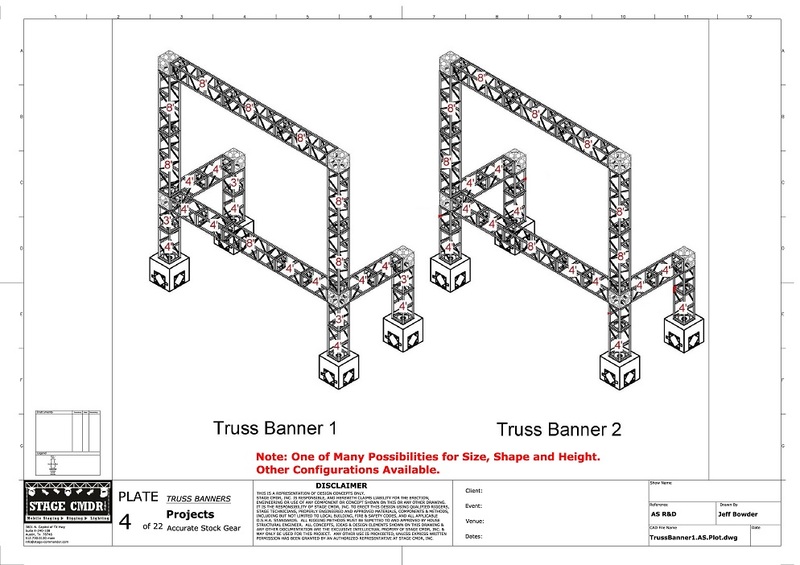 Then the project managers at Stage CMDR will design a truss banner support structure that will support your banner. 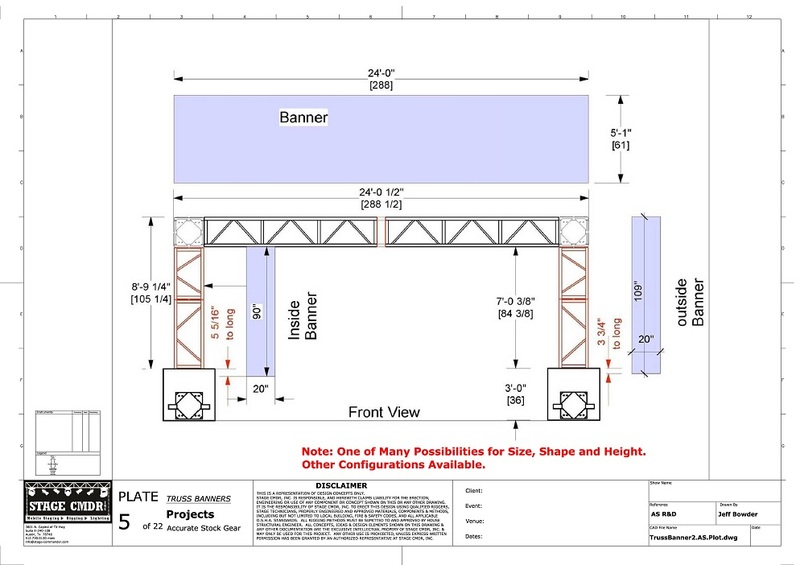 Once the truss support structure is drawn to specs, the exact measurements will be turned over which will allow the banner to be made to the exact measurements of the support structure. 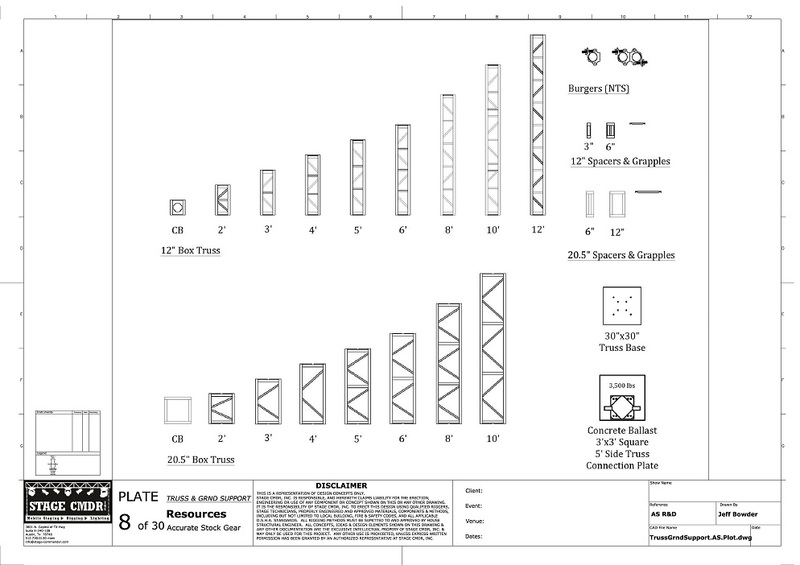 These structures can just about any shape or size using the truss size options that are available.